The Bayside Blue V-Spec is not only my track beast, my amazing machine, but also my pride and joy. This is the first stage of the build. 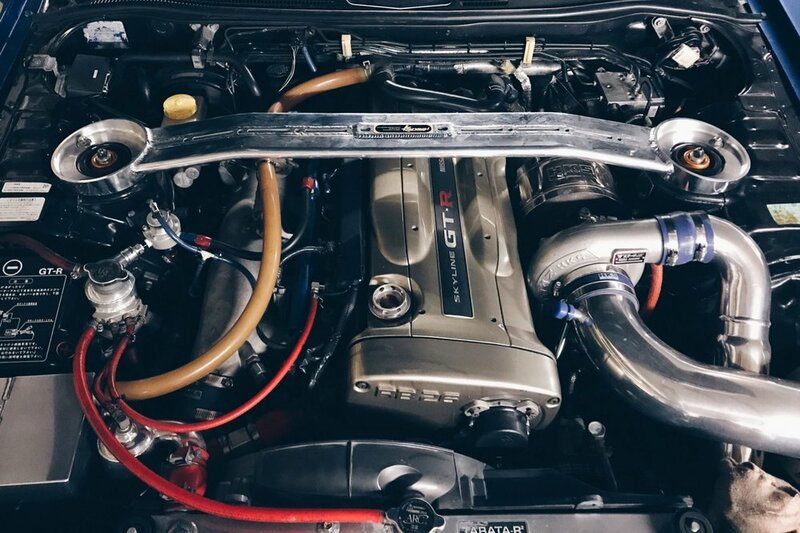 To support the HKS T04Z Turbo kit, the RB26 was reinforced with HKS Step 2 forged piston and connecting rods. Engine was built by Naprec in Osaka, which features their High Response Head kit to help spool the single turbo. Like every GTR from Japan, this car is fitted with a HKS F-con Vpro ECU. I was lucky enough to have Hayashi San and Fujita San from Garage Saurus Japan to tune my car for Canada 94 Chevron. With all the supporting modification, the car is pushing around 500hp this season. I've heard mixed comment on installing aero/body kit on a R34 GTR. I personally prefer to have a more aggressive look on my track car. 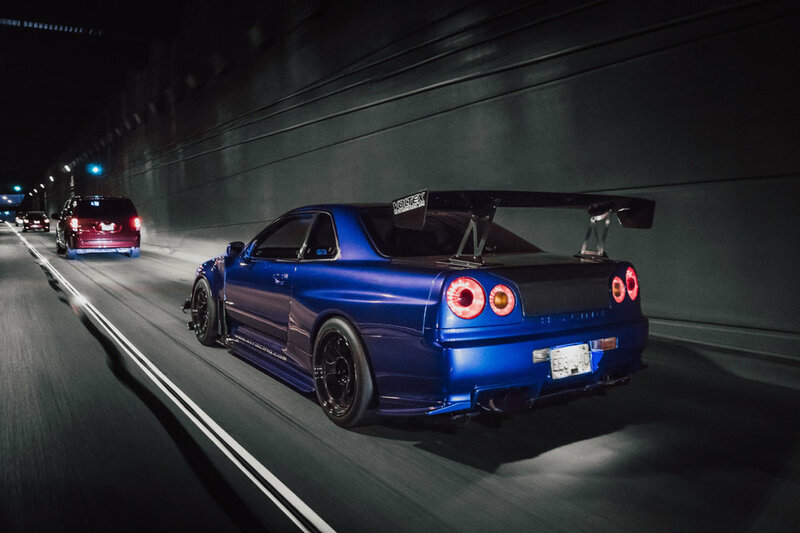 I remember seeing these Garage Kagotani fenders and side skirt on ATTKD demo cars back in the days and I told myself that if I ever got a R34, this will be it. This is by far my favourite part of the build. The wider fender also allows me to run my 18x11 +15 TE37 in the front without any rubbing issue. You cannot have an aggressive side but stock front end. I've chosen the Nismo Z-tune bumper fitted with Autoselect carbon canards. However, there is not a huge selection of front lip/diffuser for R34s whatsoever. It took me awhile to track down this Carshop F1 carbon front diffuser. 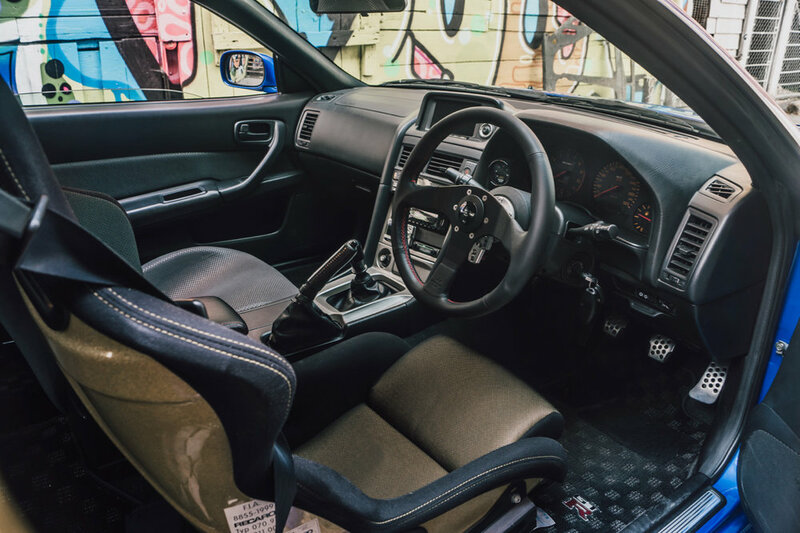 The interior is rather basic with a personal steering wheel, Workbell Rapfix GTC steering hub. The Recaro SPG3 also provides ultimate support for going around the track. After all, the intention of the build is to create track car where I can also take it on the street. How can you not have a GT wing for a track car? This Voltex Type 4 1800mm Carbon Wing was originally from my R35 GTR. I love the wider wing stand and had it fitted on my R34 to complete the over all look.